Is there such a thing as a perfect contact lens? If there were, what would such a lens be like? Provide the best vision possible. Feel like wearing nothing at all. At the end of the day… still feel like wearing nothing at all. Keep your eyes from drying. Always be clean, without deposits. Allow oxygen to reach your cornea to keep your eyes healthy. Does any contact lens meet all these conditions? Take it from me. I’ve worn contact lenses since I was in 8th grade, and I’ve tried just about every contact lens available since then. 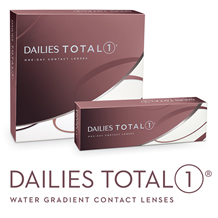 I can honestly say the Dailies TOTAL1® lenses are the most comfortable contact lenses I have ever worn. I literally forgot I was wearing them. Apparently, I’m not the only one who feels this way. 9 out of 10 patients who tried them also said that they felt nothing at all. Other contact lenses are comfortable, too. But what makes the TOTAL1® lenses so unique is their ability to maintain their comfort all day long. And since they’re a daily-disposable lens, you start every day with clean fresh lenses. So what exactly is it about the TOTAL1® lenses that make them so comfortable? Researchers at Alcon, the company that makes the lens, have managed to incorporate what they call “water gradient technology.” What this means is that the TOTAL1® lens is a low-water-content material at the core. But the water content increases towards the front and back surface of the lens. In fact, the lens is nearly 100% water at the surface. But it’s not just water. Near the surface, a hydrophilic polymer is embedded to the core creating an “ultra soft surface gel” with a water content of over 80%. And at the very outermost surface, water-loving polymer chains enable the water content to approach 100%. Alcon says these loosely cross-linked polymers help the lens maintain outstanding “lubricity” until the end of the day. Lubricity is the capacity of a material to reduce friction. It’s a measurement of the smoothness or slipperiness or a substance. And the TOTAL1® lenses stay amazingly silky smooth all day. In fact, on average, patients rate them 9.2 out of 10 for end-of-day comfort. But that’s not all. The core of the TOTAL1® lens is a silicone hydrogel, resulting in an oxygen permeability of 156 Dk/t. That’s technical speak for super breathable. 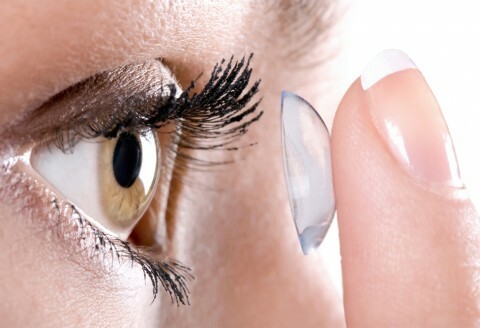 Traditional contact lenses decrease oxygen at the cornea, and blood vessels become engorged, trying to get more oxygen to the cornea. 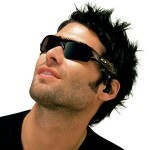 But the TOTAL1 lenses have superior breathability, resulting in white, healthy-looking eyes. I’ve always been a proponent of daily-disposable contact lenses. Since you start with a new, fresh lens every day, you never have to worry about re-inserting deposits, allergens, or bacteria that can build up on a lens. But Alcon has taken the advantages of a daily lens to the next level in comfort and eye health. The Dailies TOTAL1 have been my personal choice ever since I tried them. A revolutionary new contact lens that provides unprecedented comfort that lasts until the end of the day, superior eye health, and clean deposit-free convenience? I’d say that’s just about perfect! But don’t take my word for it. You owe it to yourself to experience the comfort of Dailies TOTAL1 lenses. http://frontier-eyecare.com/wp-content/uploads/2013/09/best-contact-lens.jpg 328 480 Doug Hodgson http://frontier-eyecare.com/wp-content/uploads/2017/01/frontier-logo-for-website.png Doug Hodgson2013-09-22 20:40:282013-09-22 21:18:23The Perfect Contact Lens?